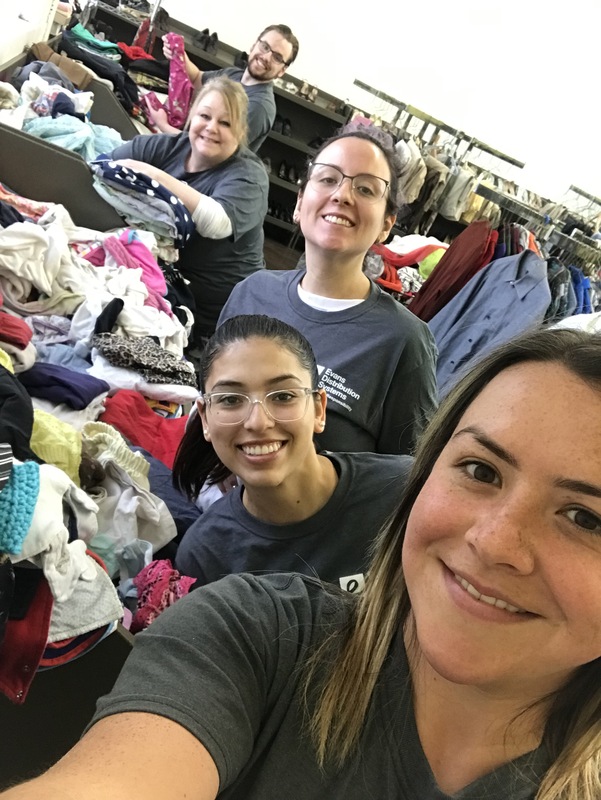 MELVINDALE, Mich. March 19, 2019 — On Friday March 15, the Evans Distribution Systems Corporate Social Responsibility Committee volunteered at the Capuchin Services Center in Detroit. The Capuchin Soup Kitchen was founded in 1929 during the Great Depression. When many people lost their jobs and they couldn’t afford to feed themselves. Many displaced people from the Detroit community went to the Capuchin Monastery asking for food. Fr. Solanus a priest at the monastery focused his efforts on providing food for the hungry people in the community and founded the soup kitchen. All the food and clothing are free for families and donated by local people and businesses. The Evans team participated in the clothing section cleaning, folding clothes, and organizing. This was the committee’s first trip to the Capuchin Soup Kitchen, and they are planning another trip to go back. The committee hopes to participate in the food pantry and soup kitchen next time. If you would like to donate your time at the Capuchin Soup Kitchen you can go to their website www.cskdetroit.orgto setup a time to volunteer. Evans Distribution Systems, headquartered in southeast Michigan, was founded in 1929 as the Central Detroit Warehouse Company. It has evolved into a full-service, third-party logistics provider offering warehousing, transportation, fulfillment, value added and staffing solutionsto the manufacturing, food and beverage, consumer goods, and chemical industries. Evans currently employs more than 600 associates and operates over two million square feet of space in Michigan and across the U.S. Find more information on our website, www.evansdist.com. Read the latest supply chain insights at Evans’ blog, or follow the company on Facebook and Twitter.